My family and I enjoyed a spectacular trip to Oak Alley Plantation during our trip to New Orleans. Not only did we see amazing scenery and learned a bit of history, we also had a spectacular lunch. Our server, Sheridan, welcomed us with true Southern hospitality. 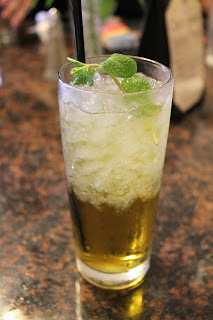 She offered us a drink and I promptly asked for Oak Alley's famous Mint Julep. I couldn't leave the plantation without one. I was pre-warned it was a strong drink, 3 parts bourbon.... It was in fact strong but very delicious. Gabe got the Praline Coffee. He loved this drink so much, he purchased the Praline Liquor from Oak Alley's gift shop. 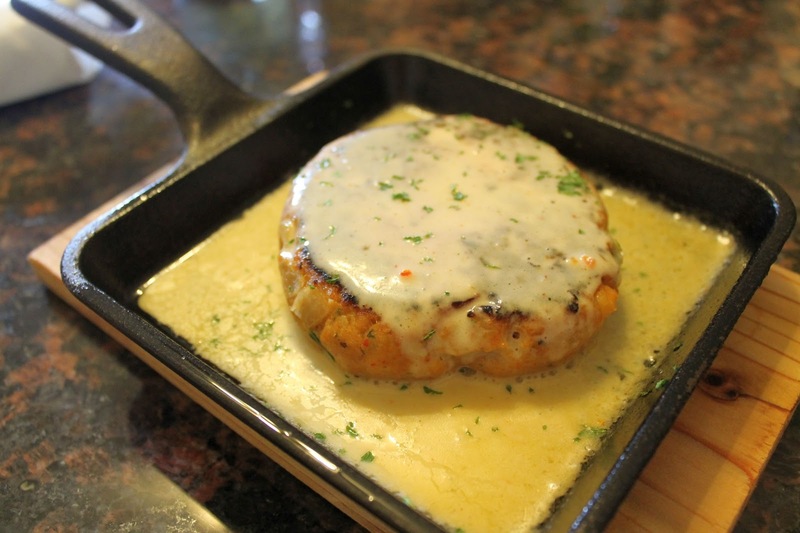 When I first viewed Oak Alley's menu, the first thing that stuck out in my head was the Louisiana Crawfish Cake, made with Louisiana Crawfish Tails and grilled in a cast-iron skillet with a delicious Cajun cream sauce. I loved every minute of it. For our entree's, I made sure everyone ordered something different so we could get a true taste of Oak Alley's restaurant. 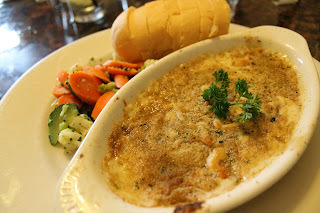 Starting off with my meal, I tried the Seafood Au Gratin made with Fresh Louisiana shrimp and crab meat. It was cheesy and delicious. Everyone at the table loved this dish. My Mom ordered the Louisiana Redfish, blackened and topped with a Pecan Butter. 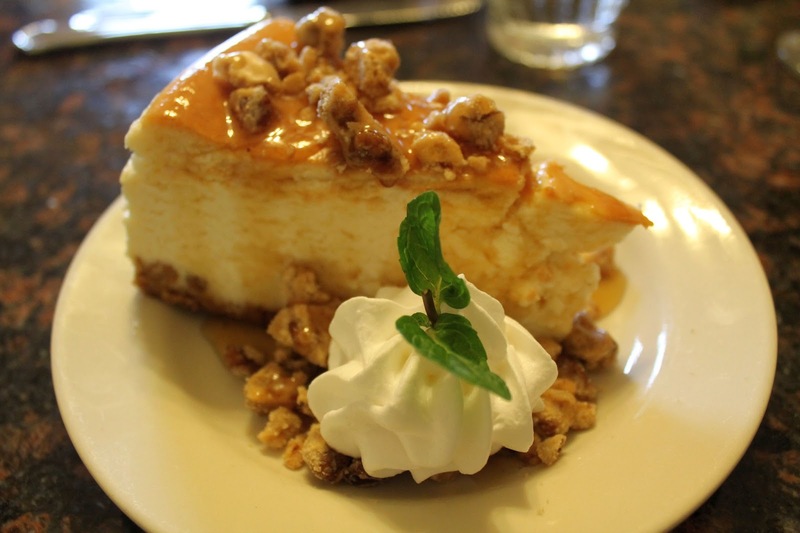 WOW - that pecan butter! 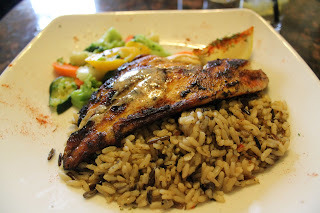 This was my first time eating Redfish and certainly will not be my last. Gabe ordered the Sharecropper's Lunch which was a mix of popular dishes. 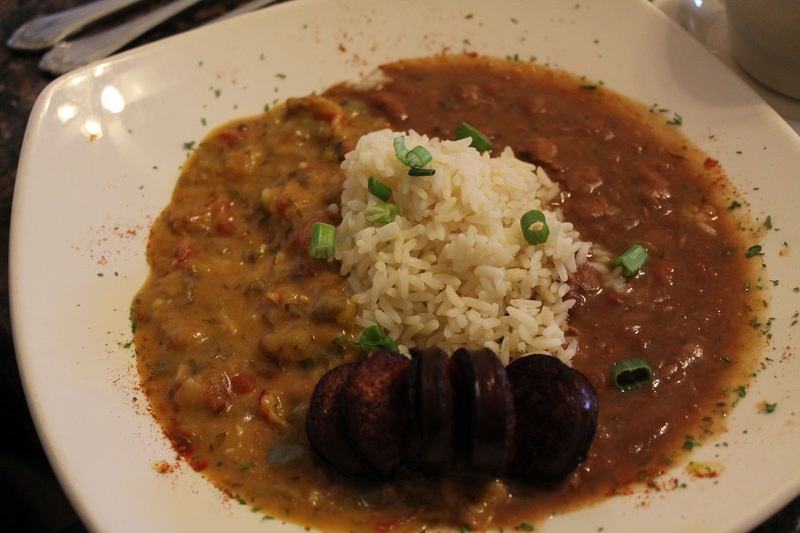 It included a cup of shrimp gumbo, red beans, crawfish etouffee and rice. He loved the combination and enjoyed trying the different dishes. Gabe's Father ordered the Red Beans & Rice with Smoked Sausage - Creamy red beans seasoned with ham, sausage and a link of smoked sausage. It was so good! Also surprisingly delicious were the peas. Gabe's Mom had the Chef's Special, a baked potato topped with seafood stew. It was amazing. 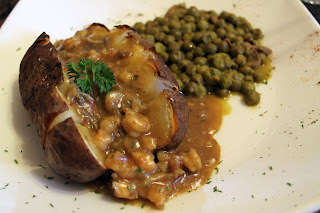 I love topping my baked potatoes with stews and this took it up to a whole new level (there are those peas again!). Finally, my Dad ordered the Shrimp Po Boy. It was traditionally dressed and came with hand cut french fries. 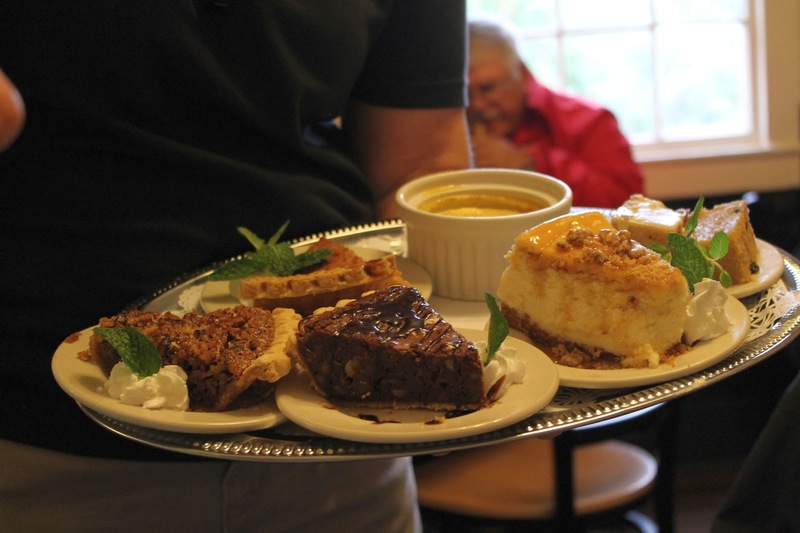 We were all sitting there with full belly's when Sheridan's Mother, Donna, came out with a dessert tray. Donna has worked at the plantation for 30 years and her family has multiple recipes in the Oak Alley Plantation Cookbook . How could we possibly say no to that? Gabe and I ordered the chocolate pecan pie, which reminded me of pecan pie and a brownie having a baby. 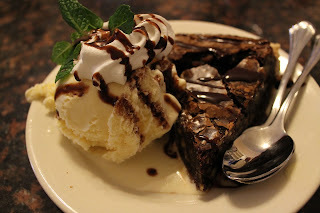 It was hot, gooey, chocolaty goodness. My Parents ordered the Creole Cream Cheese Cheesecake with Praline Topping, which is not in the cook book and I am hoping to receive a recipe to make this at home. My parents were spoon fight over the last bite. 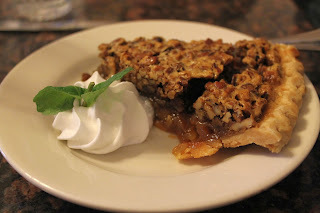 Gabe's parents went the traditional route with the Pecan Pie and as you can see from the photo below, it was Pecan Pie Perfection. It is no wonder that the Oak Alley Plantation has been featured in National Geographic, Martha Stewart Weddings and Southern Living. Wow, that looks sooo good..:) I would have never thought such a pretty place would have such good food too. I will have to go there for sure!! We blushed :) Thanks for the kind words! This kind of food is right up my alley. 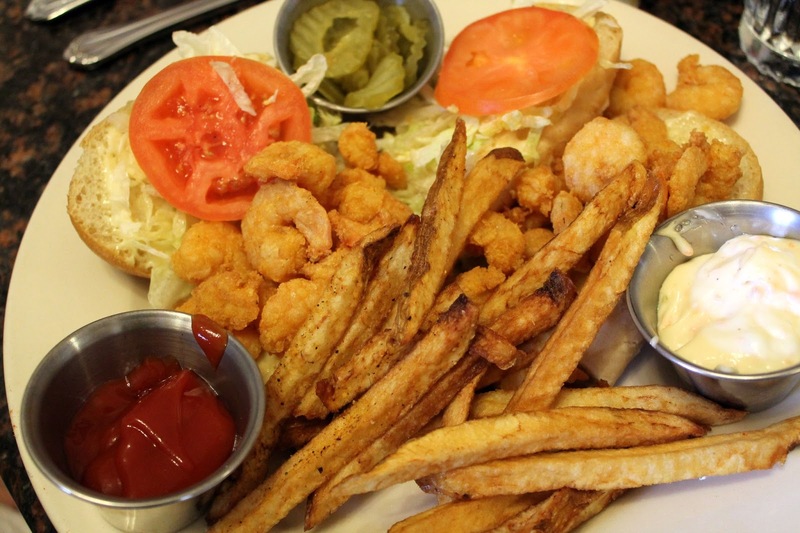 You had me at Louisiana Crawfish cake. Helloooo delicious! 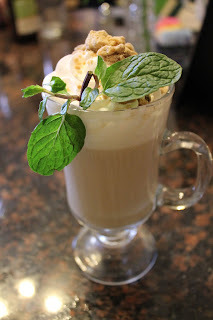 Everything looks and sounds amazing, but give me a big cup of that praline coffee, please! 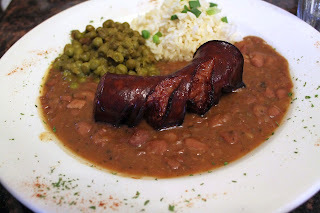 I LOVED Oak Alley when I visited and am SO happy to see that they stepped their game up with the plantation restaurant. Wow. Between that Sharecropper's Lunch and the Seafood Stew covered potato...I am drooling. Oh...and that crabcake? Give me.